Marketing your automotive dealership in the digital age can be tough. One-size-fits-all advertising is prescribed by the manufacturer, but it’s rarely in the best interest of the dealership. 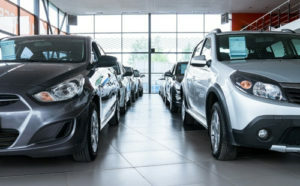 At the upper level, automakers care about selling their brand of vehicle, not about which dealer it is purchased from. Individual dealerships, however, know their own strengths and know what consumers in their area of responsibility actually care about. This information can be especially valuable in a paid search campaign, where short messages must make an immediate impact on the potential customer in order to entice a click. By stepping entirely away from an OEM approved vendor, one of our dealership partners was able to grow their conversions by 287% in the first month alone, all while lowering their cost per click by a whopping 72%. In addition, their click-through rate was over 79% higher than the average automotive industry CTR. Because of our team’s intensive research, comprehensive campaign construction, and ongoing optimizations, the campaign started out strong and has only improved from there!